I can fall asleep anywhere, anytime. And it doesn’t matter if a freight train or a hurricane is coming, you’ll have to send someone to roust me. Spiderman can keep his webs, and I never really wanted X-ray vision anyway, Superman. I’ll keep my weaponized narcolepsy. It has served me incredibly well, especially in the always fluid sleeping conditions of Southeast Asia. Whether a dorm full of incredibly drunk 19 year old shouting Brits or the coffin berth of a 12 hour sleeper bus, I slap on a history podcast and I’m out faster than a fat kid in dodgeball. The older I get the more I realize how fantastic this ability is. I’m leaving Southeast Asia tonight, headed onto South Africa. I’ve spent the last 3.5 months on the adventure of a lifetime. I experienced the horrors of war, as well as came to a better understanding of America’s legacy in Vietnam. 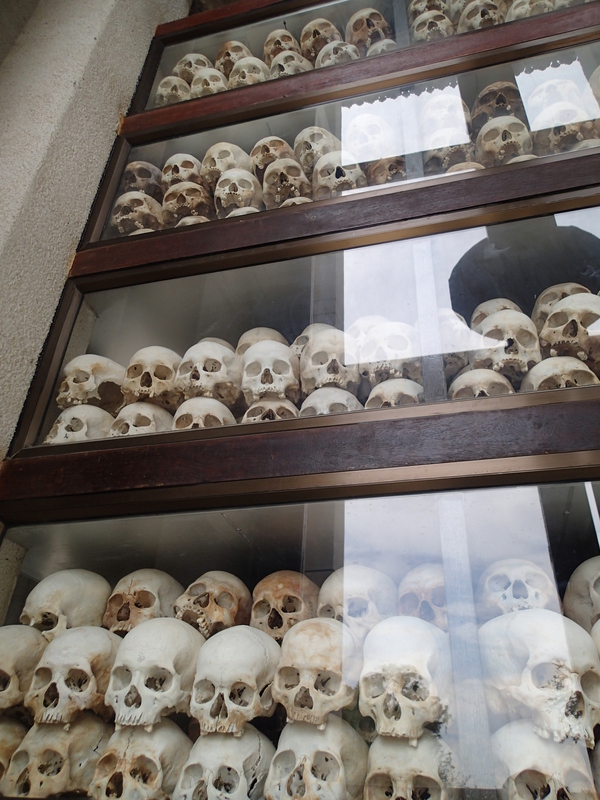 I got an up close view the charismatic, maniacal and efficient evil of the Khmer Rouge in Cambodia. 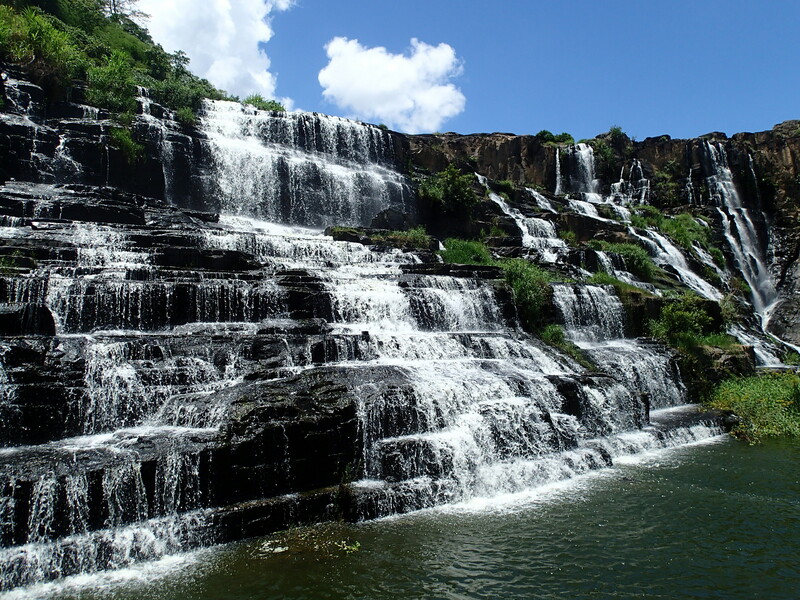 I saw some of the most beautiful natural places on earth, from 5 mile long caves to pristine waterfalls, untouched and underdeveloped. 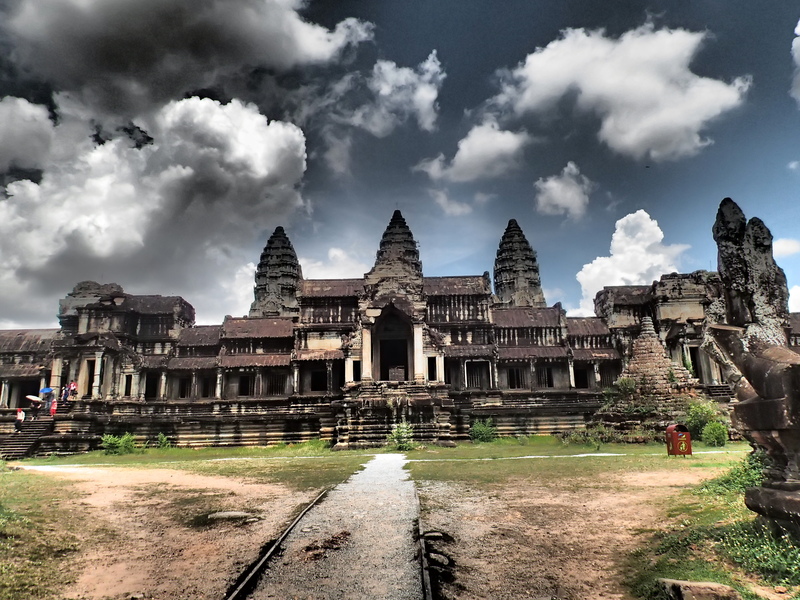 I got to walk in the ruins of one of the ancient wonders of the world, Angkor Wat. 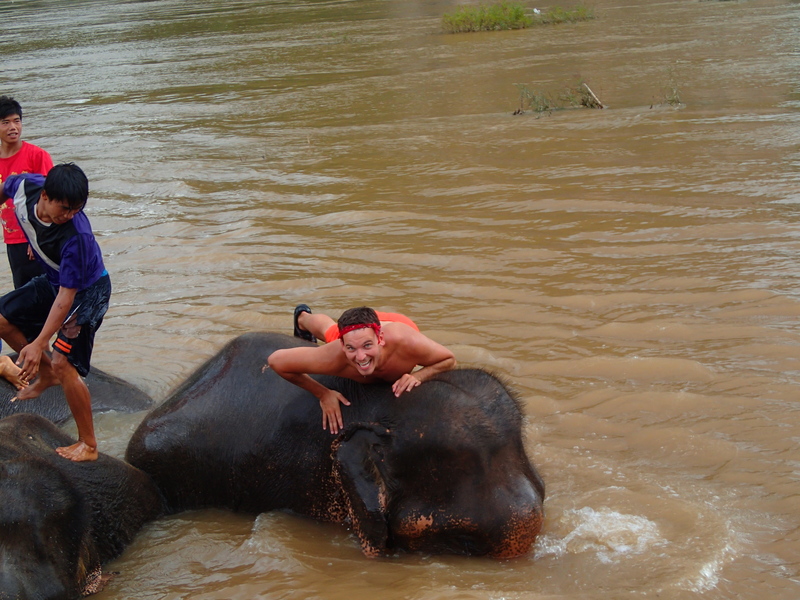 I played with monkeys and rode on elephants. 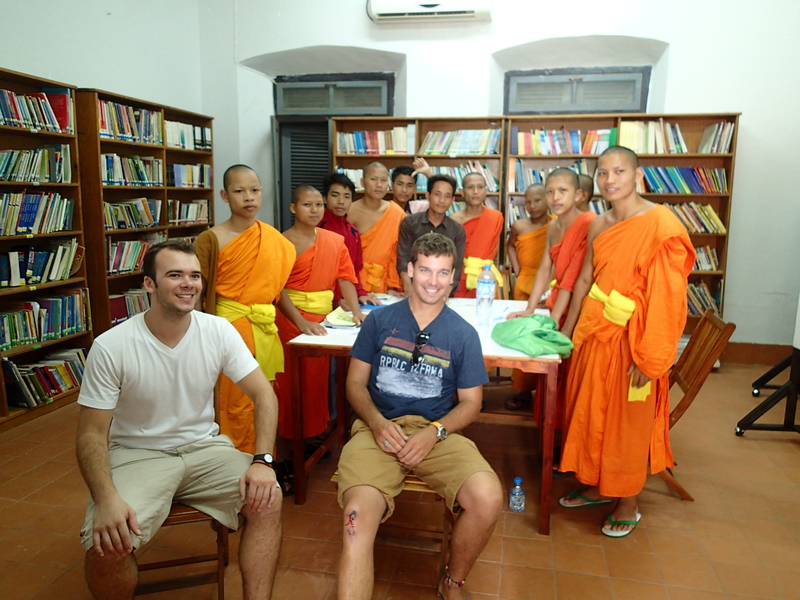 I wrecked motorbikes and taught monks English. I got to see a military coup first hand, and debate political issues with people from a half dozen countries almost nightly. In three weeks I developed a bond with a man who taught me a lot about addiction and even more about the human condition. I saw a girl who was incredibly lucky to “only” have 40 stitches in her head, and I saw a surfer who was not so lucky as his lifeless body was pulled from the Bali barrels. I agreed to travel hundreds of miles with people I’d met mere minutes before and “evaded” organ snatchers in remote Laotian towns. I learned to communicate with only hand gestures and a smile to bridge a language gap. I learned the art of Thai boxing at the hands of gentle madmen, and learned to cook the cuisines of a half dozen nations. In short, I lived life. Frankly, a helluva lot of it. I grew more than I would have in the next 5 years of my “normal” life. I was in more uncomfortable situations in 100 days than I can count, but I managed to make it out of all of them with barely a scratch. They say the best journeys are the ones where you find something you didn’t know you were missing. I found something better. He looked a lot like a guy who had become a nasty cynic. One who had been paid well to delude himself into thinking that he was smarter than everyone else in the room. One who thought that a growing number on a bank account was going to magically fix an unfulfilling life. One who had put a reckless love of risk before an awful lot of things that actually mattered in this life. One who’d forgotten that the happiest moments really are free, or damn near to it. It isn’t very often that someone crawls out of an unmarked grave, but I’m glad I came across it. That’s what meaningful travel does. It reacquaints you with the best versions of yourself. It shows you overcoming obstacles to reveal a character and mental fortitude you didn’t realize that you’d had. And thank God it does. Otherwise I wouldn’t have found that man I thought had died. And he’s a helluva lot better than the one who got on a plane in Chicago in March. Farewell Southeast Asia. You’ve done more for me than you’ll ever know.